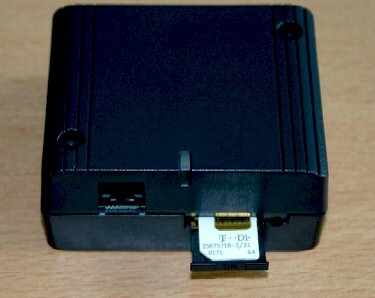 The GSM groundstation receives GPS position information from the GPS GSM Plus collar via the GSM service. Additional new GPS and beacon schedules can be transmitted via GSM to the collar. This gives you the flexibility and security you need for your data (figure 1). 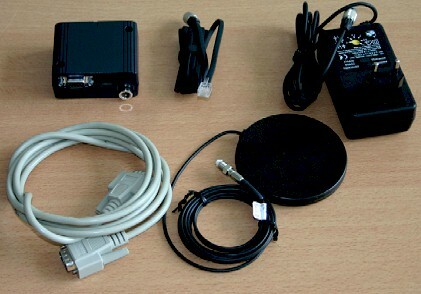 The GSM groundstation is available for 900/1800 MHz and 900/1900 MHz networks. Depending on your network provider, several SMS can be stored on your SIM card (Subscriber Identity Module, see next picture), the remaining SMS can be stored at your network provider and will be delivered to your groundstation automatically when new memory in your SIM card is available. The GPS Plus software package can read out your SIM card on demand or automatically every 30 seconds. You can merge your SMS files for a specific collar very easy to get all the GPS information together in one singele data file. This file can be exported to ASCII or spread sheet format or can be used to visualize your data with the GPS Plus software. The GSM data file is 100% compartible with the GPS Plus collar data file format. But of course it is also possible to run the whole data transforamtion process automatically. If the groundsstation is further connected to a PC/Laptop the data receiving system is complete. Together with your collars in the field, you have your own, autonomous high tech GPS-GSM tracking system (Figure 2): the SIM card in the collar sends the location data of the animal via GSM to your SIM card in the groundstation!